The idea of this painting came to me from a pic I saw on Instagram. There was a girl sitting under a tree in a meadow, and the leaves of the tree were filtering the light, painting little irregular spots on her figure. It reminded me of Monet’s “Bal au moulin de la Galette”. 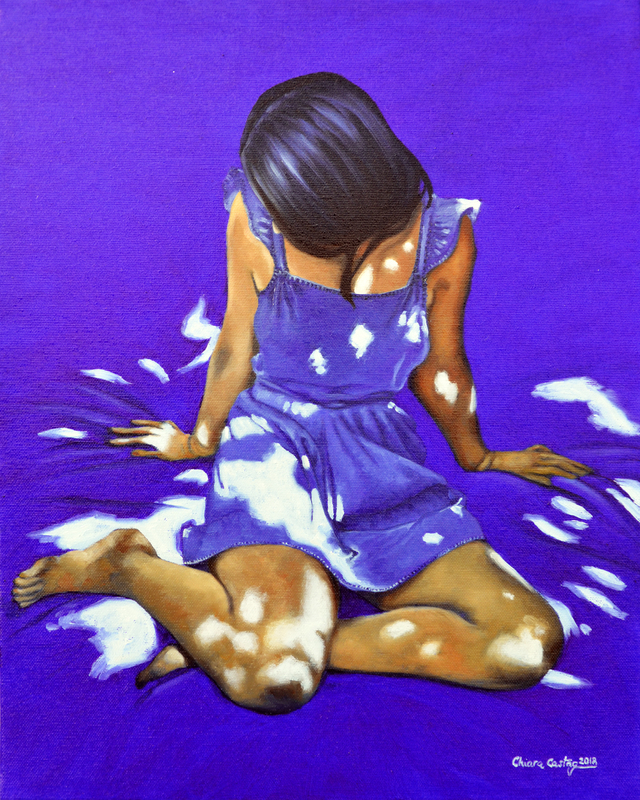 In my rendition there’s no background and the three subjects are the girl, the light and the liquid spalsh of blue.